Are you looking for a good infant formula that will be good for your baby? When you have a newborn, friends and family are quick to offer opinions on feeding methods, sleep schedules, and everything in between. As parents, we all appreciate well-­intentioned advice, but sometimes a new mom simply needs the affirmation that her choice matters. Twitter Party Coming Up on December 19 at 1 PM EST !! I'm hosting a Twitter party with 3 co-hosts, for Parent's Choice where 5 winners will win a $100 Walmart gift card during that hour. To be eligible, you need to RSVP to the party. To RSVP to the Twitter Party, please COMMENT on this blog post with your Twitter handle!!! 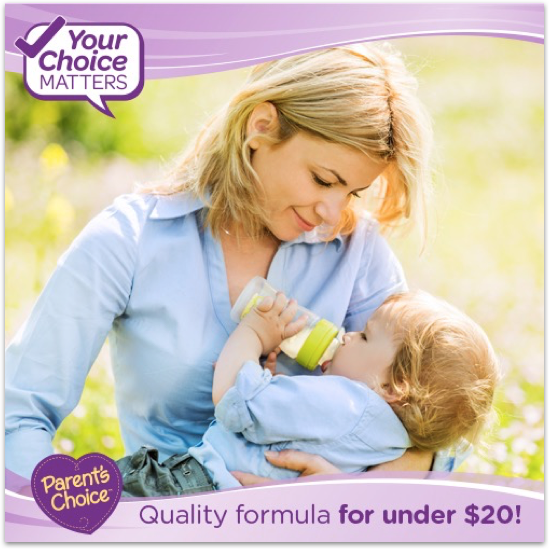 When our older two kids were babies, we used Parent's Choice infant formula several times and it did well for them. 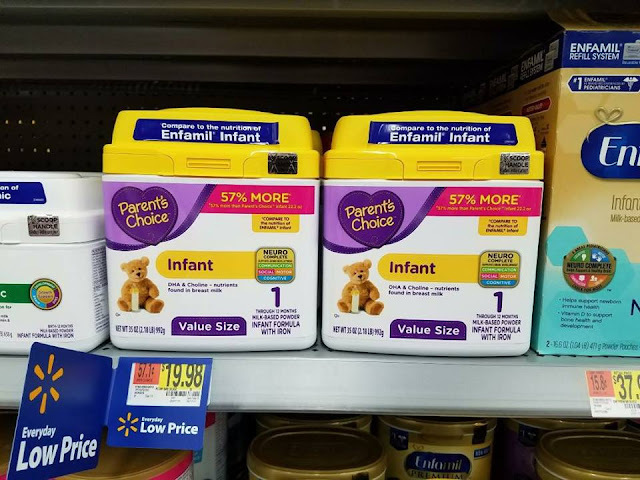 The benefits of Parent's Choice baby formula exclusively at Walmart is that your spouse and siblings of baby will be able to help feed baby as they want to and it's a great price at Walmart. I have many friends who also love and use Parent's Choice formula for their babies. 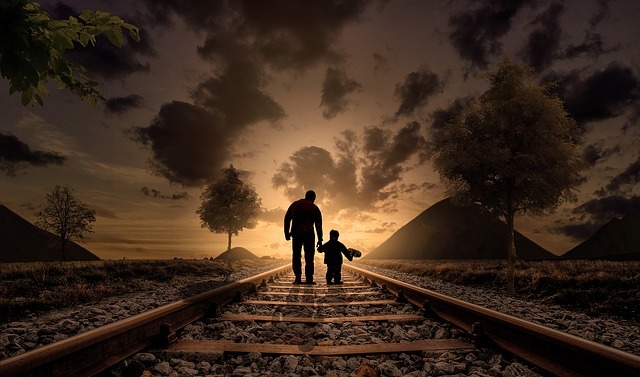 It will also help with sibling(s) and dad bonding time when they are able to help with feedings. Parent's Choice® baby and toddler products are available exclusively at Walmart. - Nutritionally comparable to more expensive national brand infant formulas, including Enfamil®, Similac®, and ︎Gerber®. - Easy to digest and has been well tolerated by millions of babies. - Meets the highest-quality FDA nutritional ︎standards, just like Enfamil, Similac and Gerber. 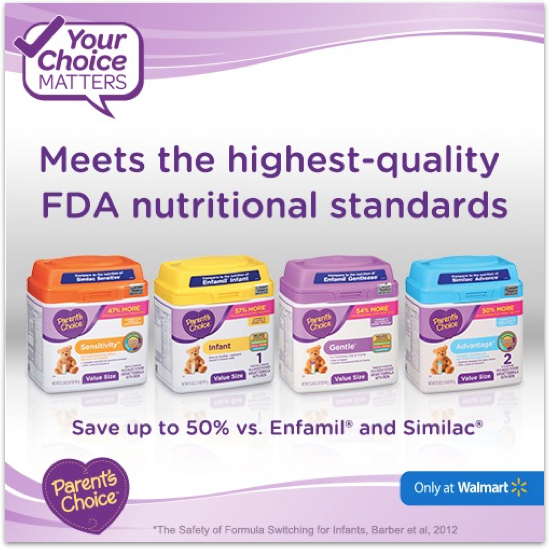 As you may know already, exclusive to Walmart since 1998, Parent's Choice Infant Formula has been a leading choice for feeding babies with millions of parents across the United States. Be SURE that you enter the sweepstakes, for your chance to win $800 in prizes!! No infants in our house, but this is a great giveaway! Passing it on to some friends who can definitely use it! Twitter parties are so much fun. I love the chance to win prizes. Great giveaway! Choosing the right formula seems mundane but I know it's one of the most important decisions a new parent has to make! My niece used to have so many issues when she was a baby and finally they tracked it down to the brand of milk she was drinking. Haven't had an infant in a long time, but I'll pass this along to my friends with babies because this is a great giveaway! WE love parents choice products. WE use a lot of them but never tried the formula! Though both of my children are grown now, I will definitely keep this formula in mind for if/when they have kids. Seems like a healthy and affordable option for the little ones. Yes, it's great to keep on top of what's on the market now. I'm with you on keeping it in mind! We don't have infants anymore in the family, but will keep this brand in mind to recommend to my daughters. Always good to know. My kids are all grown, but we now have 3 babies in the family. Gonna tell my nieces about this. They've been hesitant to try it since they weren't sure if it was as good as the other stuff. I never had to buy formula but both of my kids liked the Parent's Choice Puffs. I also liked the pullups, they worked great and cost so much less! We're way past needing formula, but we have a neighbor who is expecting. Sharing with her right now! What a great givwaway. I need to share this with my friends with babies. I am a long, long, looong way away from considering having a baby, but I'll have to keep this in mind for the future. I remember the bottle feeding years. I miss it some days beign able to snuggle while teen son ate. He did well on Parent Choice. This is such a great giveaway! Good luck to moms with new born babies. I really like Walmart store brands! What an affordable formula alternative. I had no idea Walmart had this! Having my hubs be able to give my baby a bottle was priceless! We both breastfed and formula fed and it worked out great for us! Walmart is a great place to find all the things a mom needs for baby. Thanks for sharing this giveaway! What a great giveaway!!! I love that Parent's Choice is such a great option for babies! Pencil me in for the twitter party! I certainly could use that Walmart gift card! Who couldn't?! We never used this formula. I have a friend whose child used this and they loved it. My kids aren't babies any more, but I have lots of friends with little ones. I can definitely pass this info on. What a great giveaway! Passing it on to some Mom's who might need this! I've heard of this brand. It's great that there are alternative out therefor parents that wish to bottle feed their babies. @surabhi0402 look forward to the chat on Twitter. RSVP @jehousel, looking forward to the party! 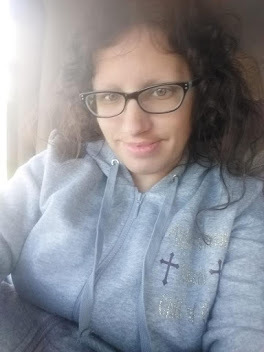 I have 6 grand kids that are almost '6' & under, I have some older also but I luv them all & enjoy all the lil ones crawling around & just learning to talk their all so adorable. RSVP @eevongelic TWEET YOU THERE!! rsvp @jehousel looking forward to this! Rsvp @mrsbzmom, looking forward to chatting with everyone! Awesome party thank you looking forward to it. With a toddler and baby on the way this is the perfect party for this momma! Excited to join #ParentsChoice party! A brand I know, tried and true.